Cedar has many properties which make it ideal for outdoor furniture. And Amish Cedar Furniture from Weaver Furniture Sales represents the best you can get. At about 80 percent as sturdy as oak, cedar is a strong wood. So it’s a natural choice for patio and garden furniture. Also, cedar resists water damage and decay. Plus, its unique smell, which we humans love, repels bugs. As a result, with proper care, you can count on cedar to last for decades to come. Also, tiny air pockets inside the woodgrain help moderate the temperature of cedar wood. So during the summer, you’ll be much more comfortable sitting on a cedar chair or bench than on a seat made of metal, plastic or composites. What’s more, cedar is affordable, low maintenance and ages gracefully. Have fun browsing the collection below. Or, visit our ‘brick and mortar’ store in Shipshewana, Indiana. And try out our Amish Cedar Furniture for yourself. 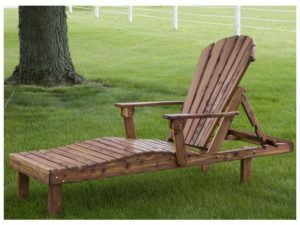 Searching for a loveseat porch swing, rocking chair, picnic table or a beautifully-crafted planter? Then, you’re on the right page. Because Weaver Furniture offers a great selection of cedar furniture for you, your family and friends to enjoy. Skilled Amish craftsmen build each piece of furniture. And the Amish men use tried-and-proven traditional woodworking methods and careful attention to detail. Also, the Amish men apply a special stain. It gives the furniture an added layer of durability to ensure more than a lifetime of practical use.